Even with the advances in communication technology (social networking, email, texts) it is still proper etiquette to send an invitation by regular mail for formal occasions and dinner parties. There are some basic guidelines associated with writing a formal invitation. You should familiarize yourself on the proper technique for writing formal dinner invitations. Write a message on the front of the plain white folded card. Chose a message that explains the reason for the dinner party. For example: "Join us to help celebrate Ron's promotion." Open the card and write out the details your guests need to know. Include the time and place of the dinner. List menu choices if you like. Add information about who exactly is invited and indicate whether they are free to bring a guest along. Include RSVP contact information and a "respond by" date. You can include this information directly on the invitation card or on a smaller card to tuck inside the invitation. 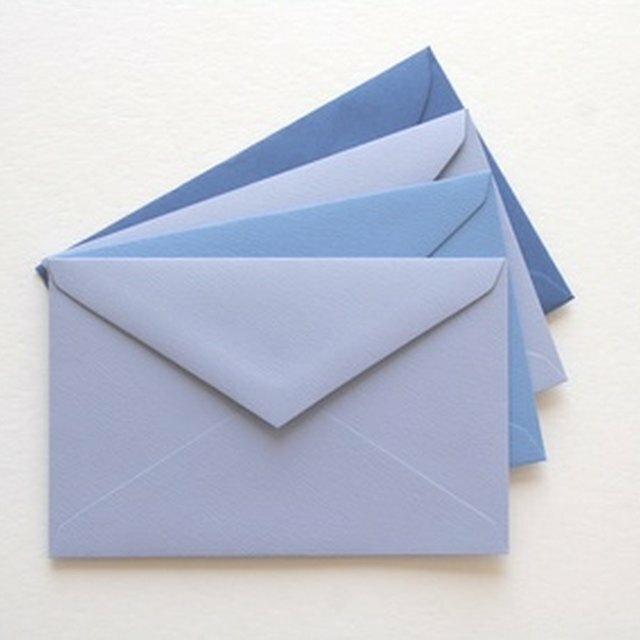 Place the invitation in a plain envelope, and hand-write the address. Printed address labels can be impersonal. Add a postage stamp rather than running the envelope through a postage machine, to avoid damage and add a more personal look. Check with your local post office to see if any of the available stamps match the theme of your occasion.